Listen: Millennials want to interact with brands that understand their needs. Listen to what they are saying to create a relevant brand relationship. You can no longer just market to Millennials; you must be authentic and personable to engage these consumers. 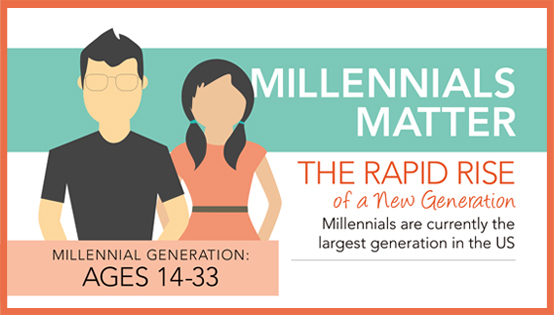 Be consistent: Millennials engage in brands they can trust. Be consistent with your messaging to build a relationship based on trust and to involve your consumers in the conversation. Brand authenticity and transparency will engage your Millennial consumers. Utilize mobile: Millennials are digital natives, making mobile their preferred device to discover and to interact with brands. With an infinite amount of resources at their fingertips, it is crucial that your brand has a mobile presence that is responsive, easy to interact with, and engaging. Our team at the Harmon Group knows it’s important for your brand to connect with Millennials and to develop lucrative relationships now. We have the knowledge to reach this market and the tools to do so. We speak their language and have the answers for targeting this influential generation of consumers.